When it comes to the world of college entrepreneurship, no school beats Stanford. Both CBS News and LinkedIn ranked the Cardinal number one on their lists of top school for entrepreneurs. The Stanford GSB Entrepreneurship Club is not only one of the oldest student-run entrepreneur’s clubs in the country, but it also sponsored the first e-conference on entrepreneurship in 1993. That conference has grown from its initial 150 attendees to become the largest annual event dedicated to world entrepreneurship. The school has produced some of the biggest names in the business realm: Google’s Sergey Brin and Larry Page, Nike’s Phil Knight, Netflix’s Reed Hastings, PayPal’s Peter Thiel, etc. Basically, if you’re planning on becoming a business big shot, Stanford is the place to be. This small, small school in Massachusetts is typically overshadowed by the “big boys” in town — Harvard, MIT, UMass, Amherst College, Northeastern and Boston University — but it placed first on U.S. News and World Report’s list of best schools for entrepreneurship and second on that of the Princeton Review. Graduates from Babson have gone on to do astounding things in the post-collegiate world: if it weren’t for Arthur Blank, co-founder of Home Depot and owner of the Atlanta Falcons, your dad wouldn’t be able to patch up that hole in the wall you and your friends made when you were playing lacrosse indoors. Other notable alumni are Michael Angelakis, CFO of Comcast, and Roger Enrico, who is currently the Chairman of Dreamworks Animation SKG, having formally been the Chairman and CEO of PepsiCo. Move over Beliebers, the Beavlievers run the East coast. If you’ve seen The Social Network, you know why Harvard is on this list. A certain CEO and multi-billionaire famously started Facebook out of his Harvard dorm room. Mark Zuckerberg isn’t the only savvy entrepreneur to grace the school’s hallowed halls: other famous Harvard entrepreneurs include Bill Gates, Electronic Arts founder Trip Hawkins and Neiman Marcus President and CEO Stanley Marcus. Crimson entrepreneurship students have all the opportunities in the world ready to be taken advantage of, like the annual Business Plan Contest. Plans developed for this contest have turned into success stories like Good Start Genetics, Potentia Pharmaceuticals, Zefer, and suppliermarket.com, among others. Harvard students leave school knowing that the only thing cooler than a million dollars is…wait for it…a billion dollars. Following Harvard’s achievements isn’t an easy feat, especially not with Facebook on that list of accomplishments, but UC Berkley holds its own rather well. In fact, it’s got a social network of its own that you might’ve been harassed on once or twice — remember MySpace? Sure, it’s become a breeding ground for pedophiles and atrocious garage bands alike but it’s also a testament to the Haas School of Business’ ability to turn out promising young entrepreneurs like Tom Anderson (you know, that one friend on MySpace that didn’t actually count as a friend). 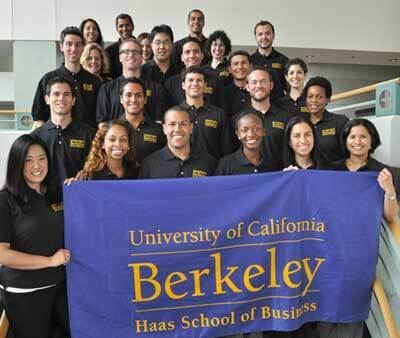 Other graduates of Berkley’s entrepreneurship program include Steve Wozniak, who co-founded Apple with Steve Jobs, and CEO of Adobe Systems Shantanu Narayen. Chris Pine graduated from the school too, but he’s only played the role of an entrepreneur…close enough? This one might stand out a bit purely because it’s not an Ivy or a major academic school. But don’t take Houston lightly; the Princeton Review rated the Wolff Center for Entrepreneurship in Houston’s C.T. Bauer College of Business as the top entrepreneurship program in the country. If you’re still not convinced, ask its esteemed alumni: Sysco Corporation founder John F. Baugh, President and CEO of Kmart and Sears Aylwin Lewis, co-founder of Compaq Rod Canion, etc. The road to an entrepreneurship degree at Houston is a six-course process that covers overviews, revenues, costs, capital, business plan, and implementation. Clearly, these guys (literally) mean business. Films such as Good Will Hunting and 21 portray students (or janitors, in the case of the former) from this prestigious institution to be geniuses in the making and, well, they hit the nail right on this head — with the correct velocity, force and precision as well. In addition to being renowned for its accomplishments in the fields of math and science, it has an entrepreneurship program that was ranked as third in the nation by LinkedIn and CBS News. 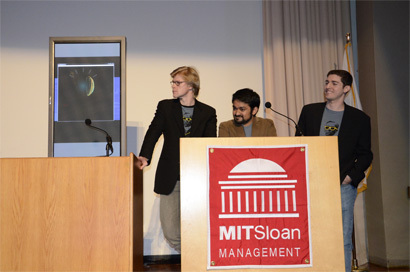 It has a number of competitions, such as the MIT $100K Entreprenuership Competition and the MIT Global Challenge, that pit students against one another and force them to thrive (an academic Hunger Games, if you will). Young MIT entrepreneurs are the reason Campbell’s chicken noodle soup is in your cupboard, the reason you can listen to the newest Foo Fighters record on your Bose speakers, even the reason Teradyne is…whatever it is that Teradyne does. Hell, Roger Ward Babson, an MIT graduate himself, even went on to found Babson College, formerly the Babson Institute. If that name looks familiar, it should—that very school placed second on this list and has been the strongest entrepreneurship program for 19 years. How about them apples? The Tuck School of Business at Dartmouth has been churning out entrepreneurs since it was founded in 1900. Its alumni are certainly an eclectic bunch: Hasbro CEO Brian Goldner, Wily Technology and New Relic Founding CEO Lew Cirne, Pillsbury Company founder Charles Alfred Pillsbury, and MLB Executive Vice President of Baseball Operations Jimmie Lee Solomon. That’s in addition to (according to Tuck’s website) 9,000 living MBA alumni. Dartmouth is all about giving its students chances to shine. Exhibit A: the Big Green $2K Entrepreneurship Competition, which has students submit executive summaries, format business plans and present before a panel of judges for $2,000 in prize money. Every business has to start somewhere, right? Yes, yet another Ivy League meandered its way onto the list. After having produced entrepreneurs such as LinkedIn’s Jeff Weiner, the founder and Chairman of Reliance Group Anil Ambani and Brian L. Roberts, the Chairman and CEO of Comcast, it’s no surprise that UPenn’s Wharton Business School placed fourth on U.S. News and World Report’s list of the best entrepreneurship schools. 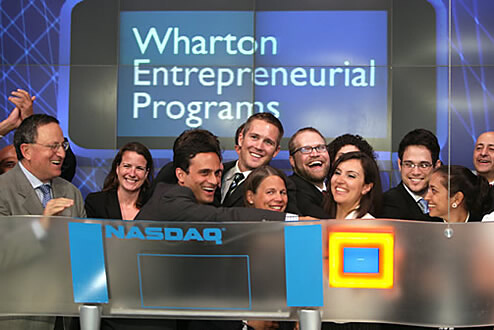 Columbia’s Eugene Lang Entrepreneurship Center has been helping student entrepreneurs achieve their dreams since 1996. Some of the dreams that the center turned into reality include Bennett Cerf’s (Random House), Robert Kraft’s (owner of the New England Patriots), and John Kluge’s (Metromedia). 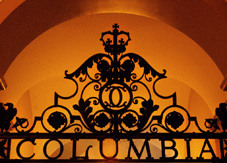 Columbia is all about fostering bold ideas, which is exemplified in its annual Outrageous Business Plan Competition. It encourages creative entrepreneurial ideas like PriceIntel, which would send consumers on crowd-sourcing “missions” in the style of video games. If you’re into innovation, you might want to check out Columbia. Last (but most certainly not least—there are still thousands of entrepreneurship programs that come after this one!) is this tiny little university in Texas. Considered the oldest school in Texas, Baylor is perhaps most known for its Cinderella-story runs in NCAA tournaments. But, believe it or not, it actually has the third strongest entrepreneurship program in the country, according to Princeton Review. In fact, if it wasn’t for a particular entrepreneur from Baylor, a Mr. Bill Townsend, search engines like Google and Bing! wouldn't exist—he was the founder of the Web search engine. Yeah Mr. Townsend, yeah Bears!